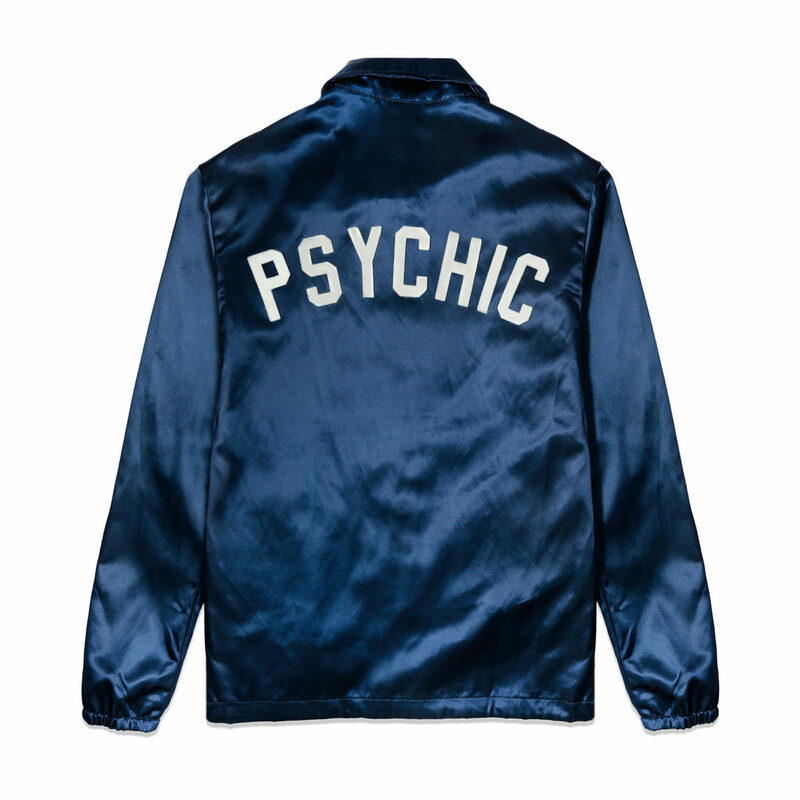 The classic Ebbets Field satin jacket made specially for Psychic Hearts! 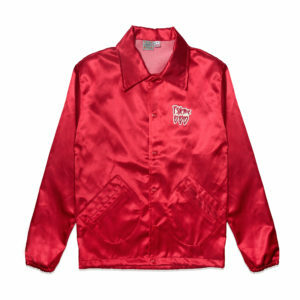 This jacket is genuine satin and is unlined. 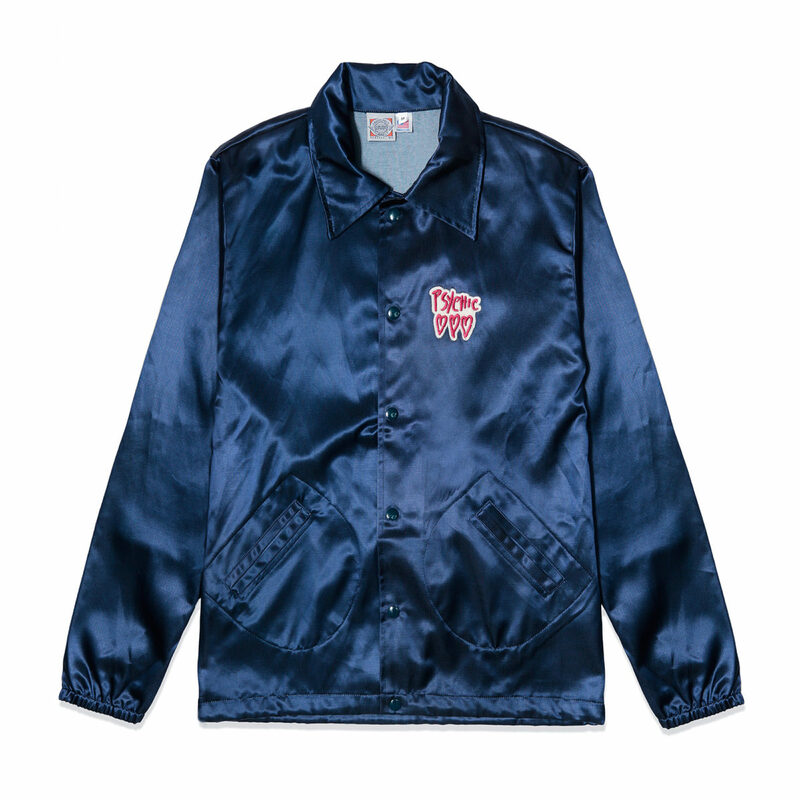 It features a heavy duty snap closure and drawstring bottom. 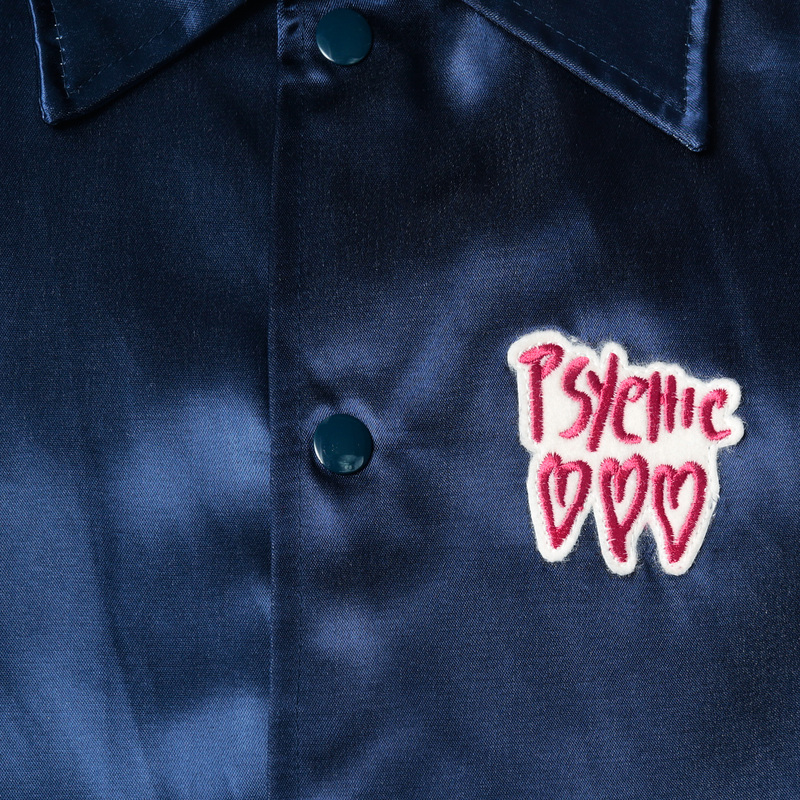 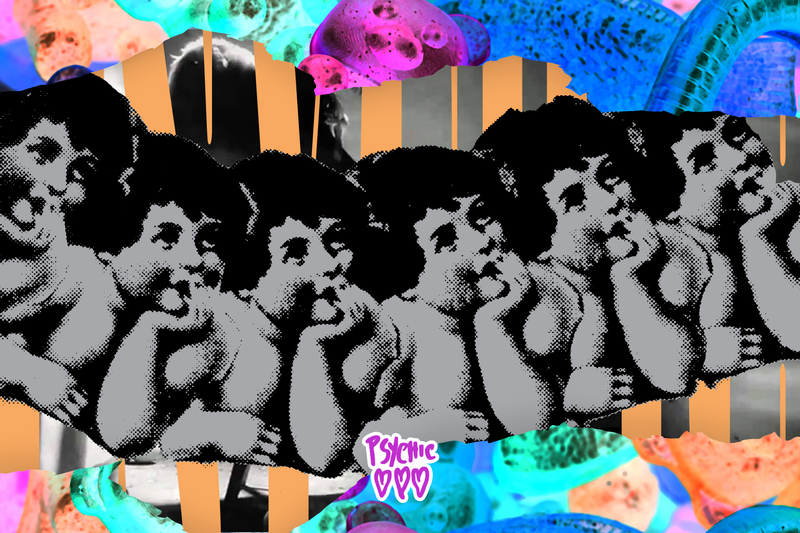 Sewn felt Psychic Hearts logo patch on chest and sewn felt P-S-Y-C-H-I-C arch across the back. 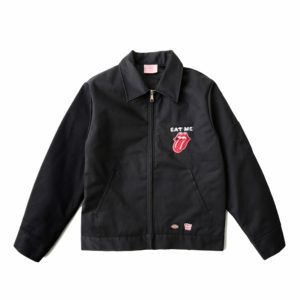 These jackets run slim so please size up if you’re considering layering with one.